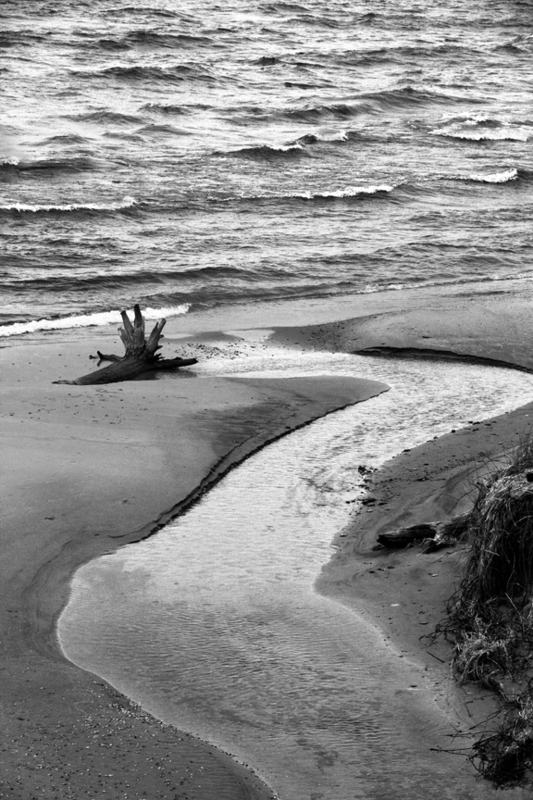 I found this stream flowing into Lake Michigan today not far from Fennville, Michigan. I used the reverse “S” compositional technique along with the choice of monochrome to enhance the mood. Thank you Jocelyne 🙂 I’ll keep that in mind. For me, some subjects seem to lend themselves better to it. Many years ago I shot exclusively in black and white as a newspaper photojournalist. It’s nice sometimes to get back to my roots of photography. That water looks cold, especially in B/W. This is absolutely gorgeous. What an fascinating and lovely composition.